Kaizen is never finished. There is always room for incredible improvement. 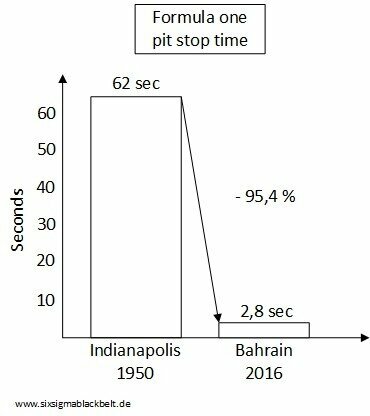 The pit stops at the formula one are great examples for improvement. Here, you could see videos on the improvement in the formula one during the last 70 years. Dieser Beitrag wurde unter Uncategorized abgelegt am 7. August 2016 von rolosixmelch.